A Sierra Leonean who worked with children orphaned by Ebola has been killed by the disease himself. 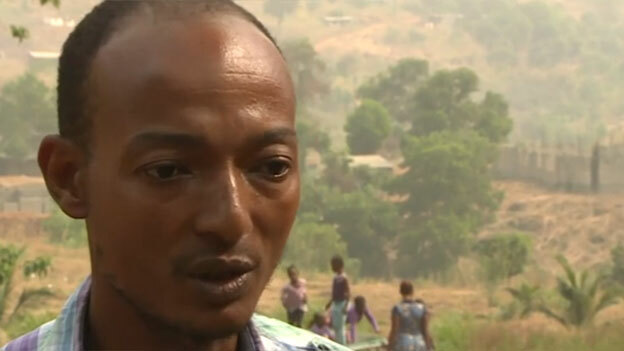 Augustine Baker had been admitted to an Ebola treatment centre after becoming ill last week. He had worked for an orphanage run by a UK charity on the outskirts of Sierra Leone’s capital, Freetown. Thirty-three children and seven staff at the St George Foundation orphanage have been in quarantine since Mr Baker was diagnosed with the deadly virus. Ebola has killed more than 9,500 people in Sierra Leone, Liberia and Guinea. But in recent weeks, the crisis has eased and the governments of the three countries have pledged to achieve zero Ebola infections within the next two months. At the height of the Ebola crisis he would go into high-risk communities to help children who had been orphaned by the disease. With his backpack on and his notebook and pen handy, Mr Baker would collect data and go and find the children to take them to the orphanage. His colleagues, who are locked in quarantine at the orphanage, were grieving as news of his death broke. Augustine Baker, Ebola, Ebola news, Ebola treatment, Sierra Leone.